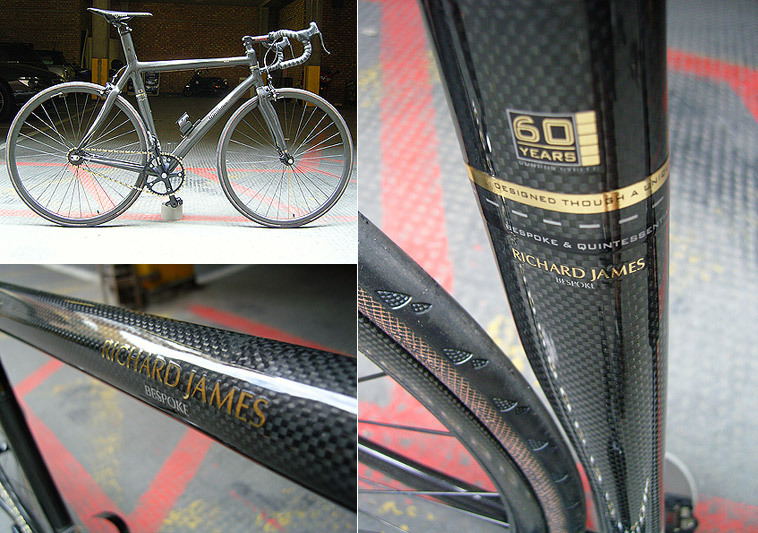 For Saville Row tailor Richard James, his penchant for quality and design is applied in a different manner here as together with Condor Cycles, the duo create this full carbon fiber bike. Based on Condor Cycles’ pre-existent road bike frame, slight tweaks are in-line including a higher bottom bracket to compliment the bike’s fixed gear nature. Technicalities aside, the bike is a visual marvel with golden highlights throughout, hand-painted touches and Condor logo shaped bottle holder.